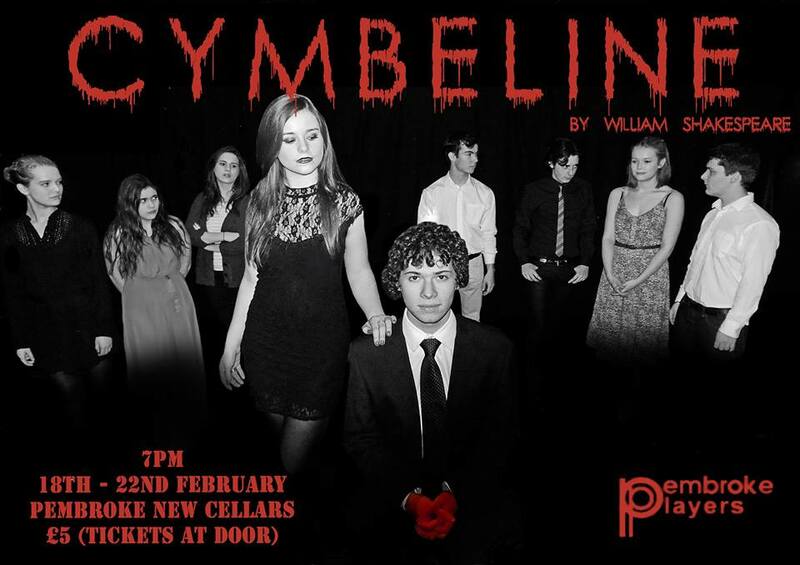 Next week, the freshers of Pembroke College present an adaptation of ‘Cymbeline’ by William Shakespeare. They have been rehearsing hard for this ambitious production – get keen! We will have more details to share in the next few days as the publicity campaign gets into full swing. In the mean time, why not click ‘attending’ on their Facebook page, and email the producer Charlotte Ivers (ci229@cam.ac.uk) to reserve a ticket? First and second year English students: dust off your Arden editions, revise the key facts (No, Cymbeline isn’t a woman. Yes, Jupiter does pop in for a chat. You didn’t make that bit up), and stop fretting about how much glossing you promised yourselves you’d have finished by now. The freshers have it all sorted. Non-English students who are blissfully unaware of what glossing entails: get ready to be entertained.